You cut the trees and we will take it from there! 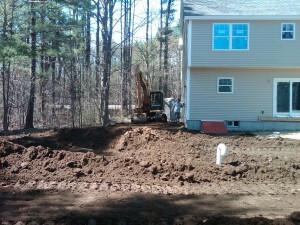 From stumping and stripping of the existing loam, digging of the cellar hole and providing proper drainage and backfilling, yard grading, septic system and utility installation, we can do it all. Also, backyard extensions are a common job for us – make your backyard bigger and better than ever before!